This week Centum investments announced a Kshs 2 billion one year 14.5% note for the Two Rivers Development Limited – which is 58% owned by Centum, 39% by Avic, and 3% by ICDC. Two Rivers had a facility of Chase Bank to finance infrastructure developments, which they had drawn on partially when the bank closed. They also had Kshs 650 million of deposits at Chase. Two Rivers owns 50% of Two Rivers Lifestyle Centre and 100% of phase two of Two Rivers, apartments, and offices. 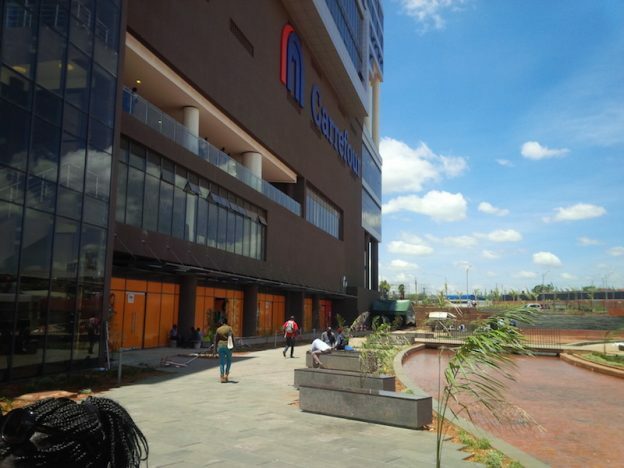 50% of the mall, the largest in Sub-Saharan Africa (i.e. outside South Africa) which opened on Valentines’ Day was sold to Old Mutual in 2015 for Kshs 6.4 billion. Two Rivers Development was valued at Kshs 41 billion in March 2016. To pay for the retirement of the bond, they are selling 11 plots of land (some residential, some mixed use, one for a hotel) which have a combines market value Kshs 6.6 billion, and a mortgage value of Kshs 5.6 billion. Interest will be paid at maturity, and the note is guaranteed by Centum Investments. The Centum investor briefing (PDF) for 1Q2107 identifies education, leasing, and agribusiness as key areas of growth at Centum in the future. This entry was posted in Centum, Chase Bank, NSE bonds, NSE investor awareness and tagged Two Rivers on April 14, 2017 by bankelele.